What's your favourite part of Christmas dinner? According to research from Twitter, 34% of us favour 'The Roasties', 32% 'The Pigs In Blankets', 18% 'The Stuffing' and 16% 'The Turkey'. Sadly, no mention of the beloved Brussels! We either love Brussels sprouts or we hate them. I love them, as long as they are not hard. 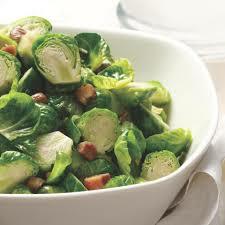 With a little TLC sprouts can be the tastiest dish on the Christmas table. Maybe that's why the lowly Brussels never get the vote in a Christmas talent competition - we don't know how to cook them! 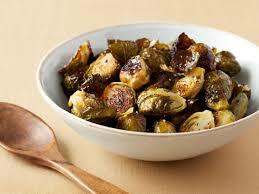 Toss halved Brussels with a little oil and seasoning and then roast them in a hot oven for 25 to 30 minutes until tender and well-caramelised, adding some sliced garlic for the last 10 minutes of roasting. 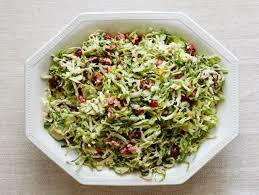 Mix shredded raw Brussels with thinly sliced carrot and cabbage. Toss in a dressing made from natural yogurt and a touch of Dijon mustard. Add toasted chopped nuts for extra crunch. 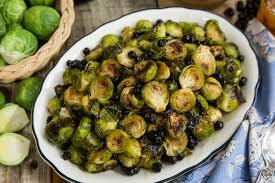 For a festive nibble with drinks, fry halved Brussels in hot vegetable oil. Drain briefly on kitchen paper and serve warm with grated lemon zest and flakes of sea salt. Heat butter until it's a rich brown; saute the sprouts until crispy. Add a few chestnuts and everyone will be a sprout convert!